Pamper Yourself with a Customized Facial, Body Waxing, Eyelash Extensions, Spray tan, or teeth whitening session. 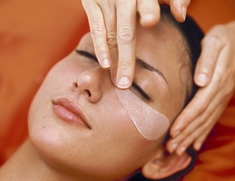 We work Magic with World-Class Treatments that leave you Smooth, Fresh and Beautiful. Luxurious spa services. Offering body grooming, deep cleansing and anti-aging facials, full body waxing, Brazilian waxing and more. Also available for that special touch of glamor, we offer eyelash extensions.Our staff at NV Hair Salon & Day Spa will work their magic by giving your attitude a lift. Options galore! From Bikini or Brazilian to Full Leg, Arms, Lips, Eyebrows, Back Face etc. We perform waxing services where you need it. Prices vary depending on the area and amount of hair removal. After a thorough cleansing and gentle exfoliation, your skin is lathered with aromatic essential oils containing plant extracts for ultimate hydration. Free your face of impurities and infuse it with intense moisture. Dull skin cells are removed to expose young skin. Highly concentrated antioxidant botanics offer free radical protection while sophisticated ingredients completely rehydrate for a supple and glowing complexion. A home care regimen is recommended to maintain appearance and maximize results. Luxurious and effective treatment for brown spots (hyper pigmentation) utilizes advanced active ingredients to diminish spots and to promote free radical protection. Skin will be brightened and radiant. A home care regimen is recommended to maintain appearance and maximize results. 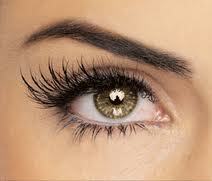 These are a great way to enhance your lash length or add fullness. Our eyelash extensions are of the best quality in the industry. Offering a multitude of lengths we customize to fit your needs, along with the option of hypoallergenic glue. We offer customized spray tans, mixing the components to fit your desired skin tone after application. Spray tanning is a great way to save the youth of your skin and add a beautiful glow. Proper application plays large roll in overall effect, using Sun Kissed products gives you an even tan that lasts 7-10 days. Now offering express tan, same amazing results with a fraction of the wait time. You can shower in two hours after application. Now offering express tan, no more waiting six or eight hours to shower. With express tan you can shower in 2 to 3 hours with the same great results. At NV Salon & Spa we are here to pamper you in Fort Worth’s finest full service hair salon & day spa. Complete with exquisite private rooms for massage, facials and separate areas for nail and hair care. A variety of premium services all contained in 5,000 square feet of elegant, yet warm and cozy décor. If you have any questions or comments please contact our client care specialists.